Discussion in 'General Community Discussions' started by DarkUros222, Jan 29, 2019. 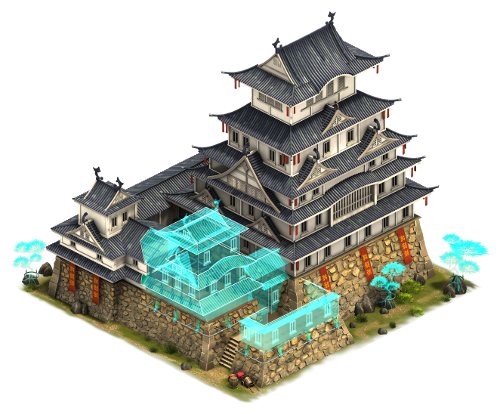 Anyone preparing to build Himeji Castle as soon as it comes out? How would it be impossible? I ran out of supplies every single day before level 73 of CF. How do we prepare for himeji castle from now? You can get all the goods ready, but you can't get bps until VF3 goes live. So it's a new GB? What does it give? Spoils of War, random chance of getting fps, goods, rogues, diamonds + supply production. Ah, diamonds. Sounds great. 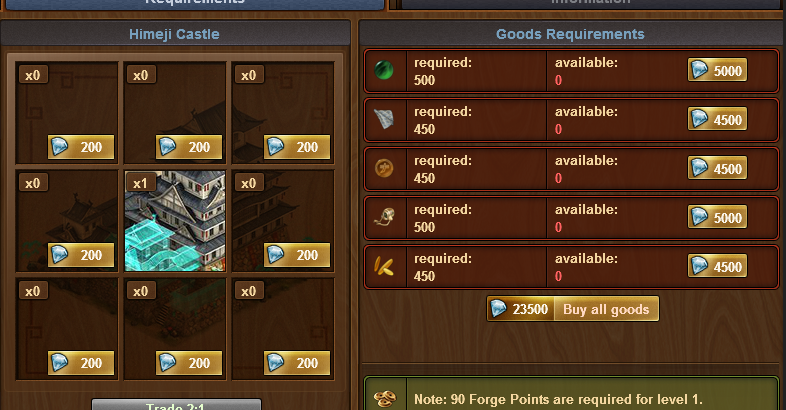 What are the goods requirements? LOL, so many spoilers in one message. Any thoughts about this era that has a fighting and a "plundering" GB? Not exactly but the concept is similar.